1) The Dock at Linden Street (95 Linden St., Oakland) — a collaboration between chef-restaurateur James Syhabout and Linden Street Brewery’s Adam Lamoreaux — will open in West Oakland next Tuesday. Check out our preview for details about Syhabout’s globally-inspired, beer-friendly menu: falafel waffles, pumpernickel-crusted onion rings, and giant punch bowls, oh my. 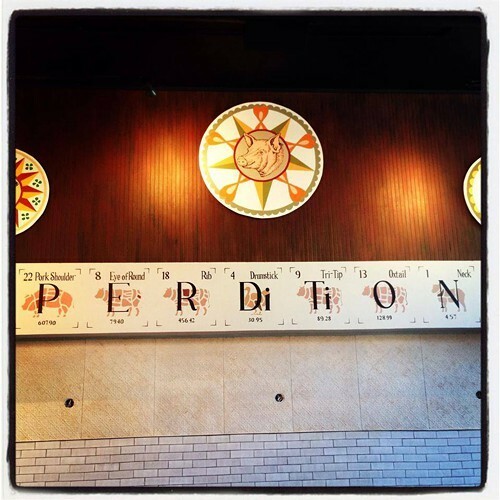 2) In Downtown Berkeley, Perdition Smokehouse (2050 University Ave.), the Texas-style barbecue joint from craft-beer guru Chuck Stilphen (The Trappist, Mikkeller Bar) will open on June 13, the San Francisco Business Times reports. “Texas style” is a bold claim, as far as barbecue is concerned, but a press release notes that chef Michael O’Brien will prepare the meats at Perdition — brisket, pork shoulder, hot links, turkey, and more — in the dry-rubbed style that’s typical in the Lone Star State. Also on the menu: 43 rotating beer taps, cold-pressed Blue Bottle coffee (also on tap), and lots of pies. Opening hours will be 5 p.m. to midnight to start out. 3) A Mexican restaurant called Los Cilantros has opened inside South Berkeley’s La Peña Cultural Center (3105 Shattuck Ave.), Inside Scoop reports. Chef-owner Dilsa Lugo, a longtime caterer, was able to open the restaurant with the help of La Cocina, the San Francisco-based food-business incubator. The breakfast menu, which includes quesadillas estilo tres marias (fried breakfast quesadillas stuffed with green peppers and Oaxacan cheese) and molletes (toasted Acme bread covered with refried beans and other toppings), looks especially interesting. Current hours are 8 a.m. to 2 p.m., Tuesday through Sunday. 4) So it’s official: KronnerBurger owner, and longtime pop-up restaurant practitioner, Chris Kronner has confirmed what we guessed last month — that his first permanent brick-and-mortar will be located at the old J’s Mexican American Food spot (4063 Piedmont Ave., Oakland). Not much new information about the menu is available at this point, but Kronner told Inside Scoop that he’s purchased a full liquor license. Wylie Price will design the space. 5) West Berkeley’s Westbrae Biergarten (1280 Gilman St.) is set to have its official opening on June 12, Berkeleyside Nosh reports. Word on the street is that the beer garden and food-truck gathering spot has already softly opened, with at least one food vendor — the Brazil Cafe truck — open and slinging sandwiches. 6) Also booze-related and coming to West Berkeley: Mosswood Distillers, a whiskey-aging and blending specialist that’s planning to move to 2619 Seventh Street from its current location on Treasure Island, Berkeleyside Nosh reports. 7) The East Bay Youth Center, an Oakland-based nonprofit, is hosting an international food festival, “Spices From Our Home,” as a fundraising event on Saturday, May 31, from 10 a.m. to 3 p.m. The family-friendly festival will take place outside of the youth center, located at 2025 East 12th Street in East Oakland, and will feature food (both home-cooked and provided by local food businesses) from Asia, Latin America, and beyond. Admission is free, but you can buy a tasting ticket ($20), which includes a free drink, in advance through Wednesday, May 28. 8) A handful of other notable food events coming up: First up, starting on Sunday, June 1, A16 Rockridge will celebrate its one-year anniversary by serving a version of its opening menu. 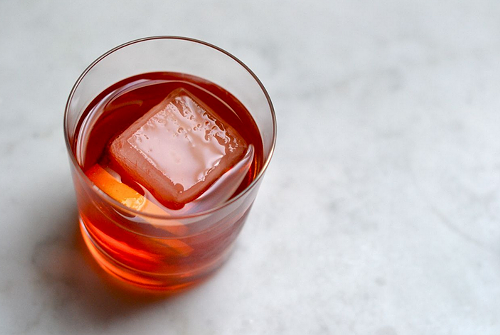 And, since it’s Negroni Week, a special Blessed Thistle Negroni will be on offer, the proceeds from which will benefit the Alameda Food Bank. Meanwhile, on Friday, June 6, Penrose (3311 Grand Ave., Oakland) will host a book signing with bread guru Josey Baker, who will on hand from 5:30-10:30 p.m. to sign books and, more significantly, to collaborate on a special dinner with Penrose owner Charlie Hallowell. Finally, on Thursday, June 26, Camino (3917 Grand Ave., Oakland) will host a big tribute dinner for acclaimed cookbook writer Paula Wolfert, who was diagnosed with early-stage Alzheimer’s last year. A large portion of the proceeds from the dinner — which will feature the cooking of Bay Area food-world luminaries such as Daniel Patterson (Coi), Cal Peternell (Chez Panisse), and David Kinch (Manresa) — will benefit the Alzheimer’s Association. All-inclusive dinner tickets start at $350; VIP tickets are $1,500. 9) San Francisco Magazine’s Oakland-themed issue is out, and includes a broad-ranging compendium of the city’s edible delights — a whopping one hundred of them. Full disclosure: I contributed a few short entries, including a “tasty, not touristy” walking tour of Oakland Chinatown. 10) Finally, ICYMI, the Kingfish, a beloved and historic dive bar in Temescal, is moving (literally!) across the street, and an app that let’s you settle the restaurant check via smartphone launches in the Bay Area.